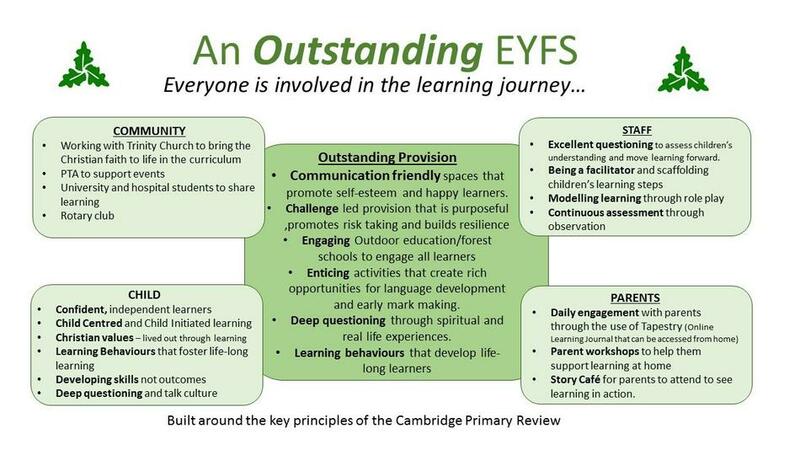 Our ethos and values are central to our ‘every day working’ and will be reflected in everything we do. As a Church of England school, we will provide an education which is distinctly Christian while following the national curriculum. understanding and respect for other faiths, beliefs and practices. 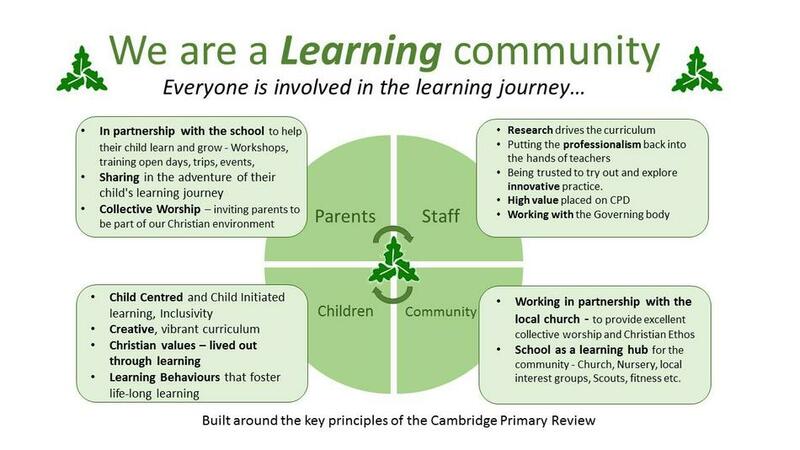 We will promote a caring approach to teaching, encouraging good behaviour and developing a sense of right and wrong. Above all, we’ll seek to recognise the special gifts of each individual. We will foster the spiritual, moral, social and cultural development of all children within a Christian environment and will nurture our links with the local Trinity Church. organisation which serves on our Interim Governing Body. 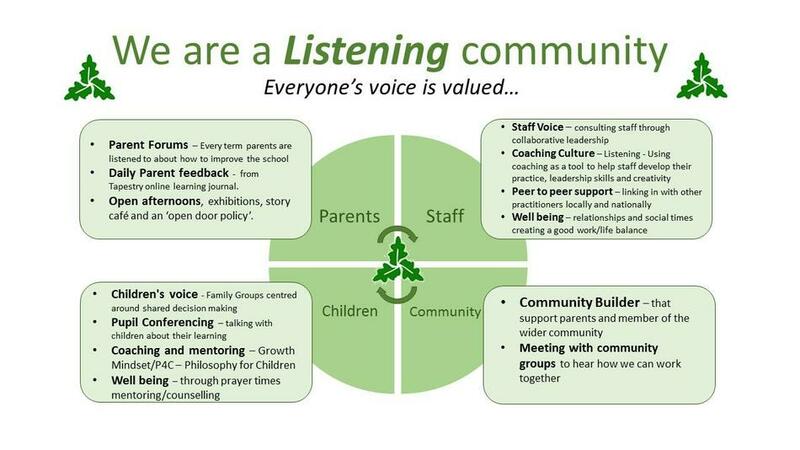 As Newcourt grows and develops, we aim to be at the very heart of community life. The school will pursue the highest standards of achievement and personal development within a climate that values the unique talents of everyone associated with the school. 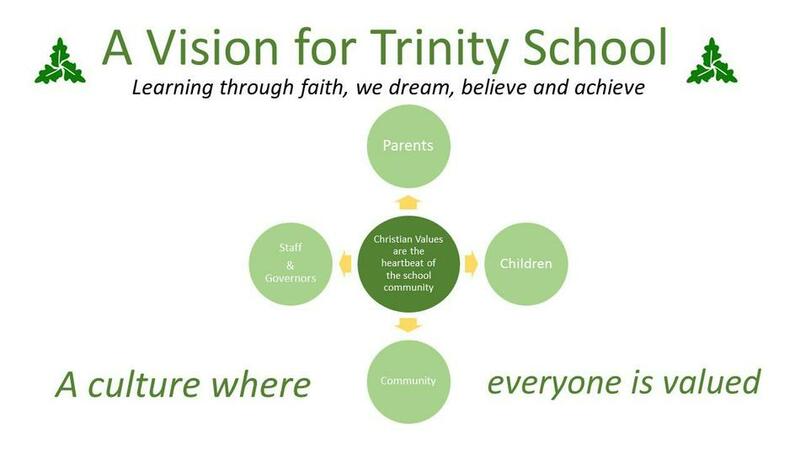 We want our Christian school values to make a real impact on the children and families at Trinity. 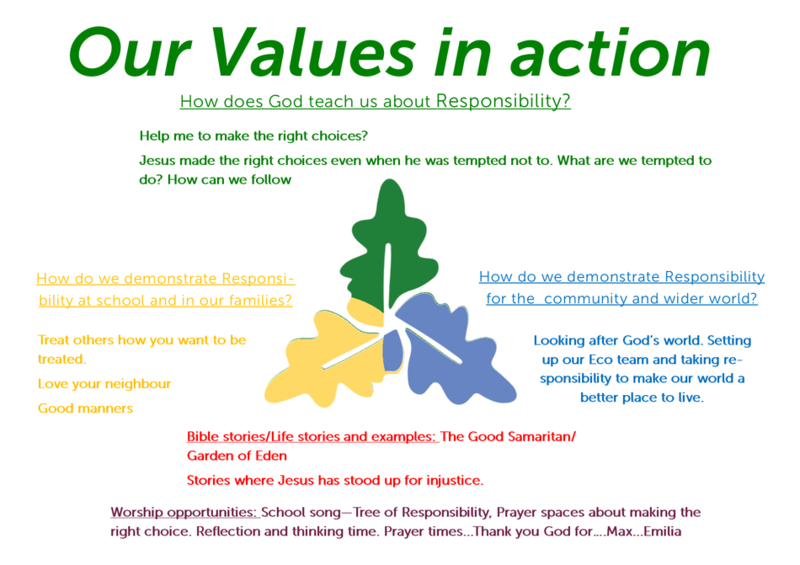 Every half term the Ethos team meet and think carefully and prayerfully about how our values can be lived out in a meaningful way. We use the three principles behind the Trinity to help us with this. The first part is through the Father and how God's word in the bible can teach us to understand each value and its true meaning. The second is through the Son and how Jesus lived out these values so that they made a difference towards his friends and family and community. And finally the Holy Spirit, teaches us how to use this wisdom, knowledge and skill to go out into the world and make a positive difference.